This pattern was originally made by Bryce Brothers c. 1890-1891. 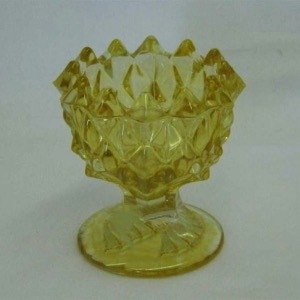 It was produced at the US Glass Company’s Factory “B” c. 1891-1904. It is only known in a marigold individual open salt.